Scanning probe processes in microscopy such as atomic force microscopy (AFM) allow topographic images at a resolution down to the sub-nanometer range. In the AFM method, the measuring tip is moved over the sample surface line by line in a defined grid. It measures the forces between a very thin measuring tip and the surface of the object. In doing so, it gives information on the topography of the surface at a lateral resolution capacity down to the picometer range. In addition, further sample characteristics such as adhesion, stiffness or viscosity can be determined. The scanning element, consisting of a cantilever and the actual AFM tip, is moved highly dynamically by minute piezo tube actuators. 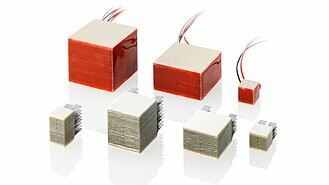 Piezo tube actuators replace the traditional tripod architecture made up of individual piezo actuators for X, Y and Z motions in particularly compact fashion. 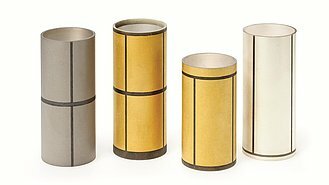 The decisive advantage is the high dynamics of these piezo scanning tubes. Since their motion is based on solid-state effects, they achieve a position resolution down to a few picometers at response times of a few microseconds. The achievable displacements are in the range of several 10 micrometers. 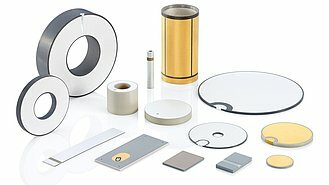 For dynamic studies, such as those carried out in the noncontact mode of atomic force microscopy (nc-AFM), piezo elements, such as disks or plates, are additionally attached to the cantilever, to induce dynamic vibration in the measuring tip. 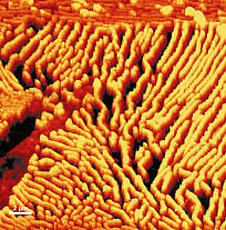 The AFM tip remains a few ten nanometers above the surface, but does not touch it. This method can be used to generate pictures even of atomic structures.